One of my favorite things about living in Dallas is that the city seems to be booming! Everywhere you look, it feels as if a new, beautiful restaurant has opened or retail space has been created. The Dallas I knew in high school is completely different from the Dallas I know now, and there’s nothing I love more than exploring the new parts of my city! One of those areas in particular? Victory Park! I typically don’t venture into downtown Dallas that much, but with the new development happening near the American Airlines Center, I’ve been finding more and more reasons to frequent the area. Exhibit A? 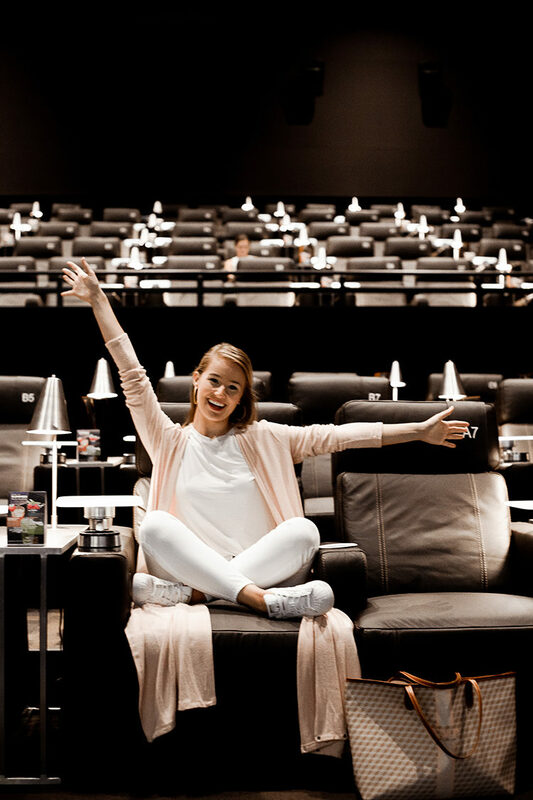 The gorgeous new Cinépolis movie theater! Let’s just say this is a luxury experience of every kind. My sister and I visited yesterday for a Mamma Mia! 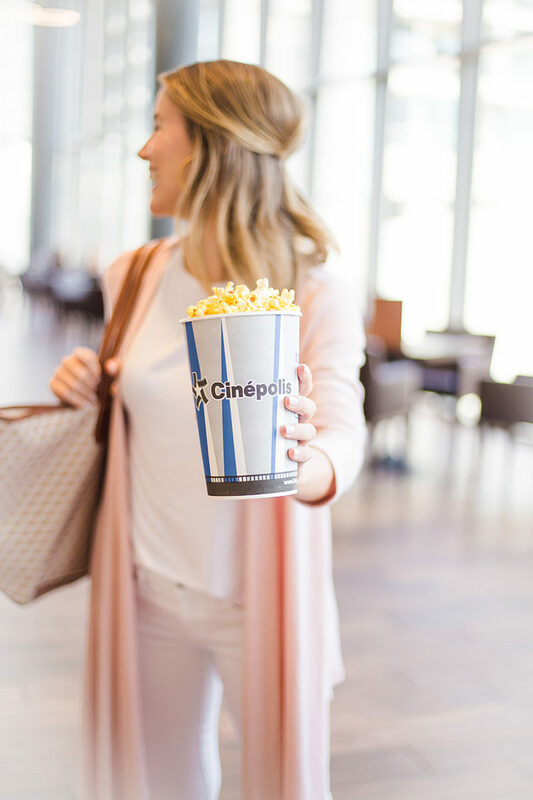 date, and I’m so excited to share about the experience in partnership with Cinépolis today. 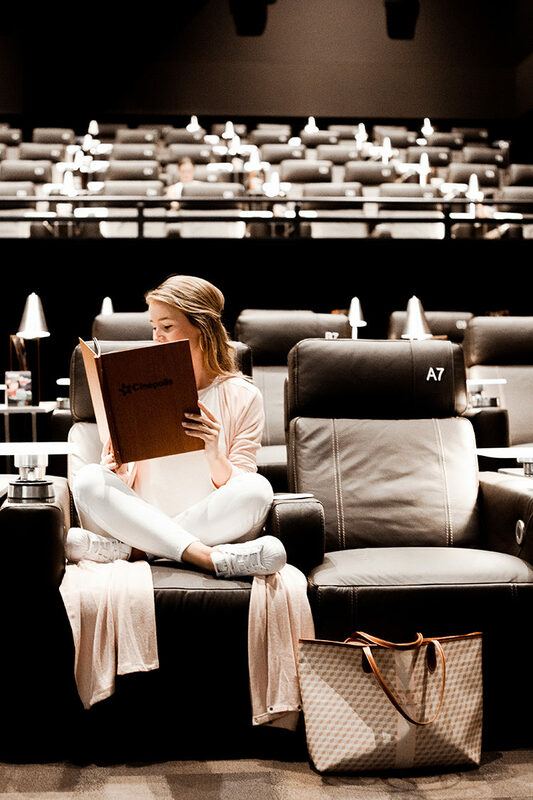 I feel like I shouldn’t start off saying “movie theater,” because that’s certainly not what I first thought when walking into this gorgeous space. For starters, it feels more like a luxurious downtown bar, and the pictures above don’t even capture the extent of it! 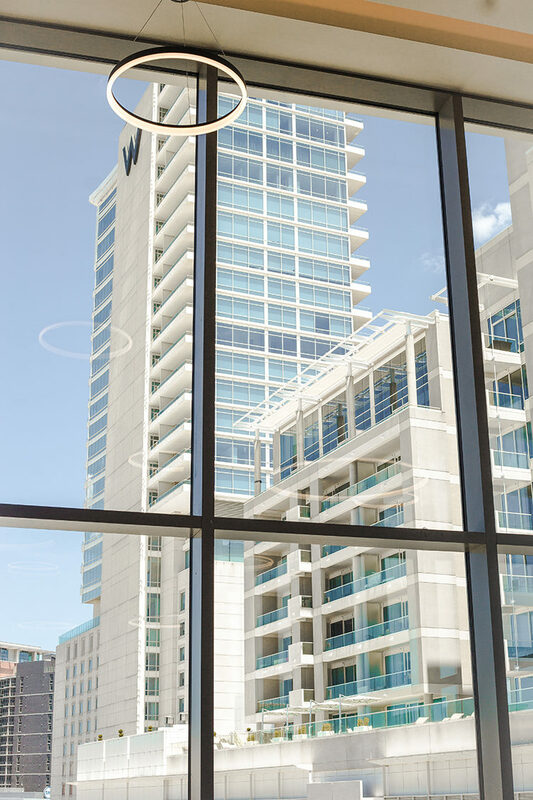 When you walk in, you’re immediately greeted with gorgeously high ceilings and huge windows that offer an incredible view of the American Airlines Center and the W Hotel. 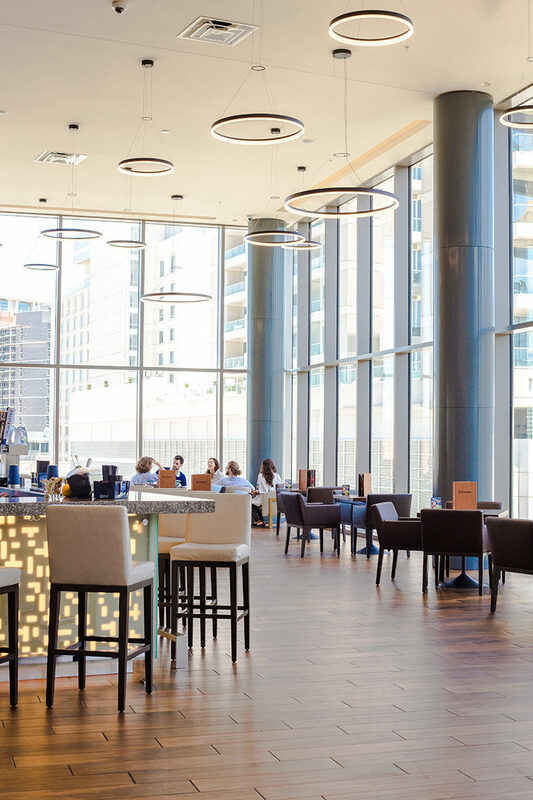 There’s a full-service bar and lots of great seating, making it the perfect spot to grab a cocktail with friends or a hot date before a show. Next up, the actual theater experience! Y’all… the theater my sister and I stepped into was, and I mean this, stunning. Gorgeous leather chairs that recline all the way, elegant lighting and the tons of room that separate each row create such a special ambiance that’s worth every penny! The dining options are expansive, and Steele and I really can’t wait to try everything on the menu! Each seat has a button to call a waiter who will take your order in the theater. I went with the pepperoni flatbread, and she had a yummy torta. We even indulged in a milkshake and caramel popcorn because.. why not?! It’s safe to say that after visiting the new Cinépolis theater, it’s going to be hard to get me into any other. The experience is nothing short of glam, and if you’re looking for something fun and different to do this weekend… I think you know exactly where to head! 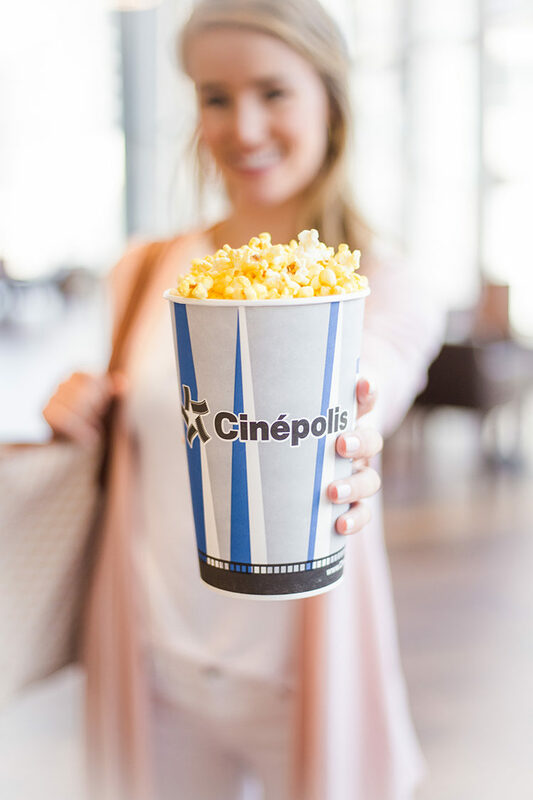 Also, keep in mind that Cinépolis offers “magic hours,” which are great for catching a show after work! “Magic hour” tickets are offered for $10 Mon-Thurs from 3:30-5:30 at select shows. 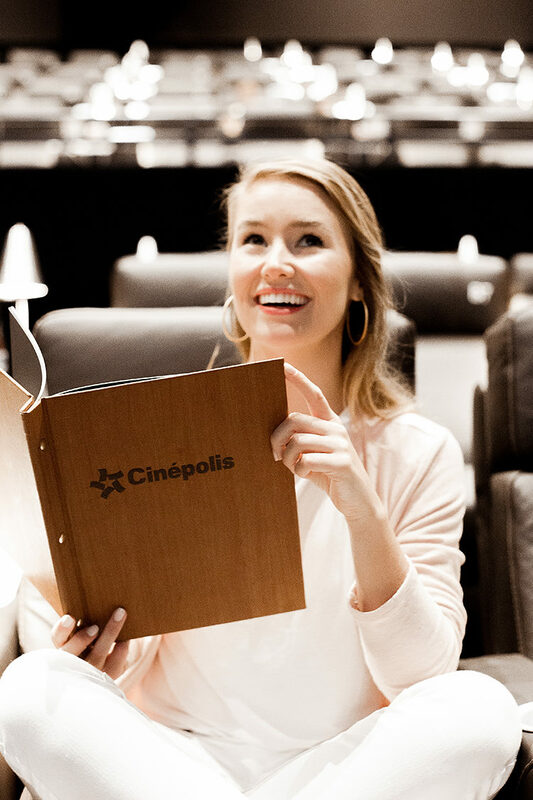 I’ll be giving away tickets to the new Cinépolis today on Instagram, so stay tuned! Already looking forward to heading back and bring along a group of friends with! This place looks amazing. I may be visiting Dallas just so I can visit here! I wish Jxn, MS would get something like this. Wow!